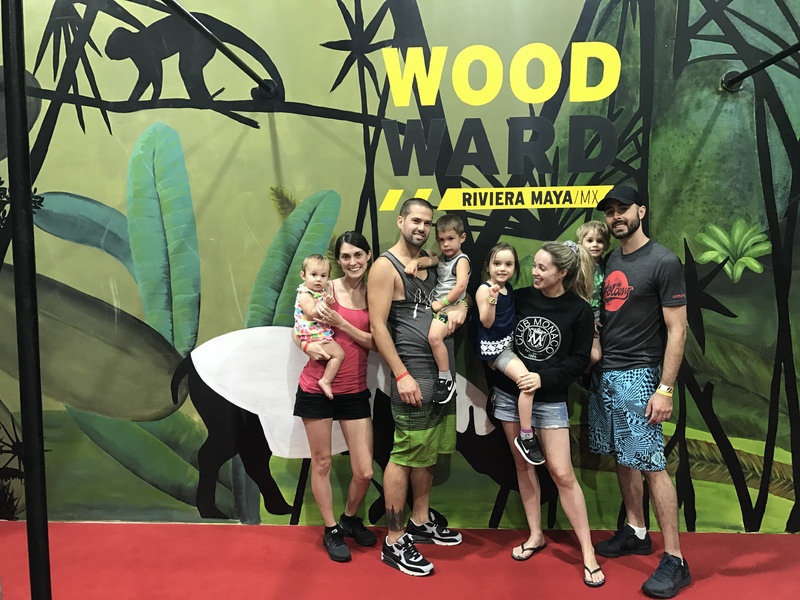 Family vacations are something we try to do at least once a year, taking the time to unwind together and just have fun, relax and explore are some of the fondest memories of mine since we had the kids. 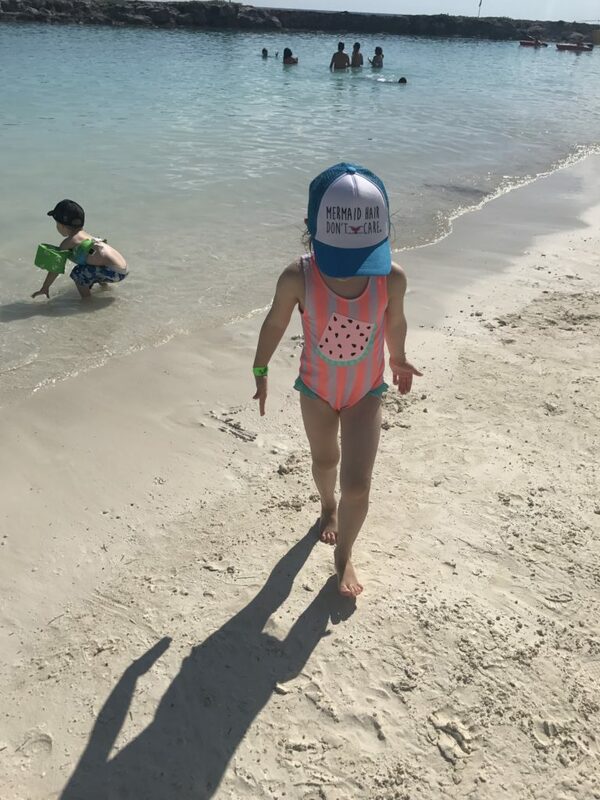 I love seeing them dig their little chubby toes into the sand, their faces when seeing the ocean for the very first time and building sand castles under the sun. 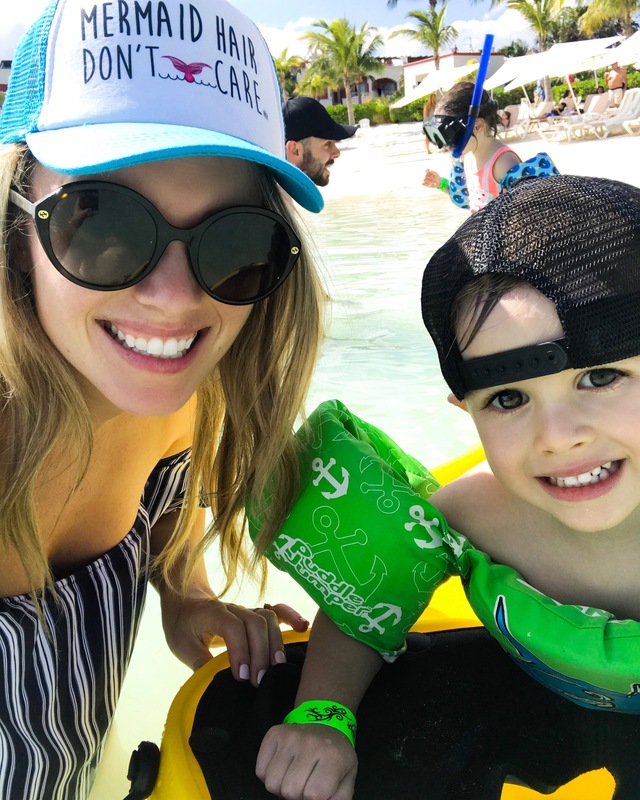 This year was our very first time taking the kids on an all-inclusive vacation, the be honest Craig and I had never even travelled that way together before the kids too. We’ve always done the house renting, pick up your own groceries kind of thing. 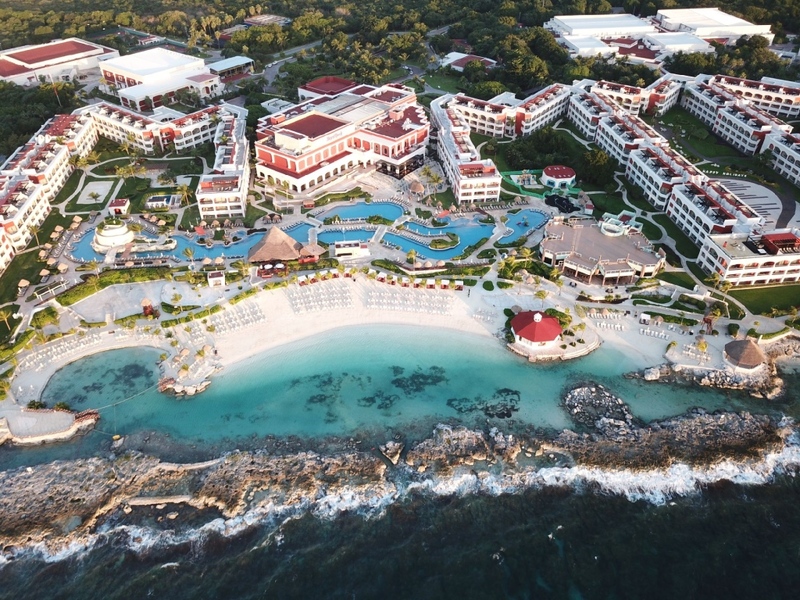 This year, we did something different and partnered up with Air Transat to adventure to Riviera Maya, Mexico at the Hard Rock Resort. I have to be honest, I was so excited to bring the kids to Mexico. 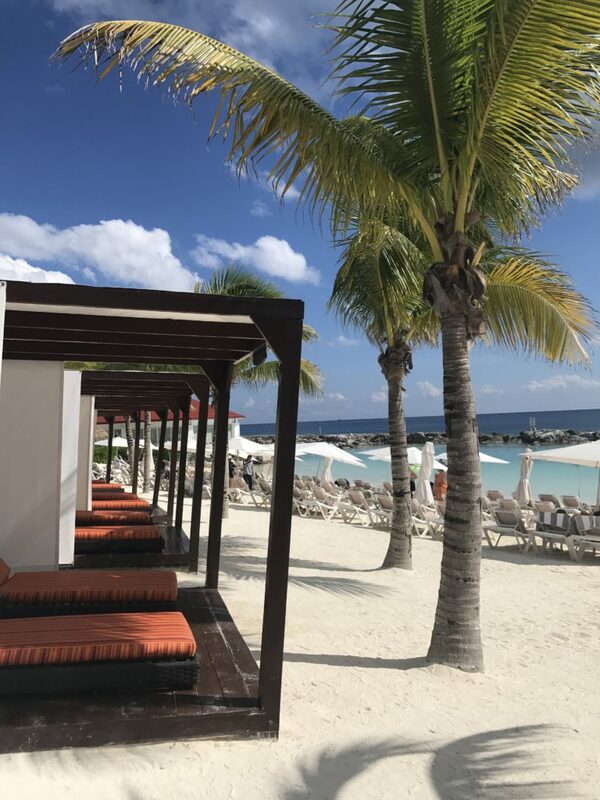 After looking up the resort and seeing that they had a beautiful beach with white sand, 6 pools and a ton of great restaurants (9 to be exact) and amazing reviews…I did a happy dance the day it was booked! 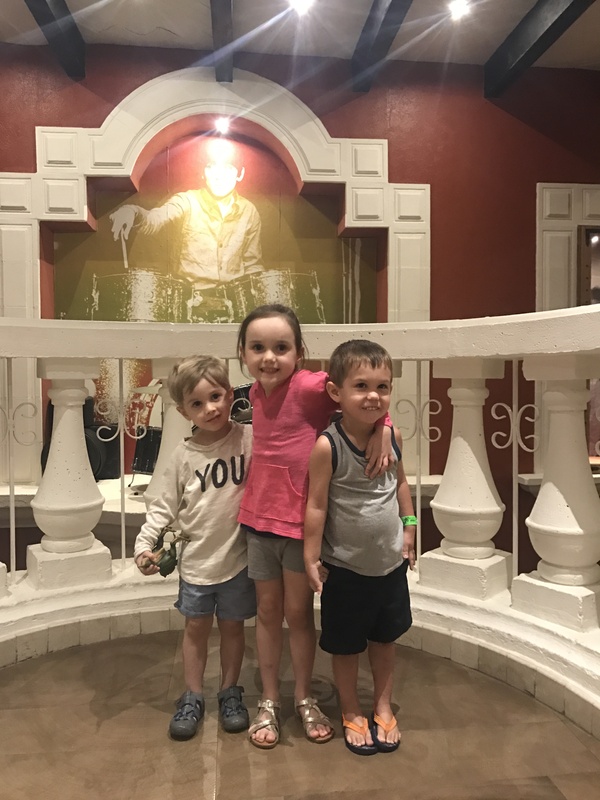 We even did a countdown until vacation time, the kids looked at photos of the resort with us and couldn’t wait to meet all of the characters at the resort. This place looked perfect for the kids and us big kids to, it even had a zip line AND a water slide!!! 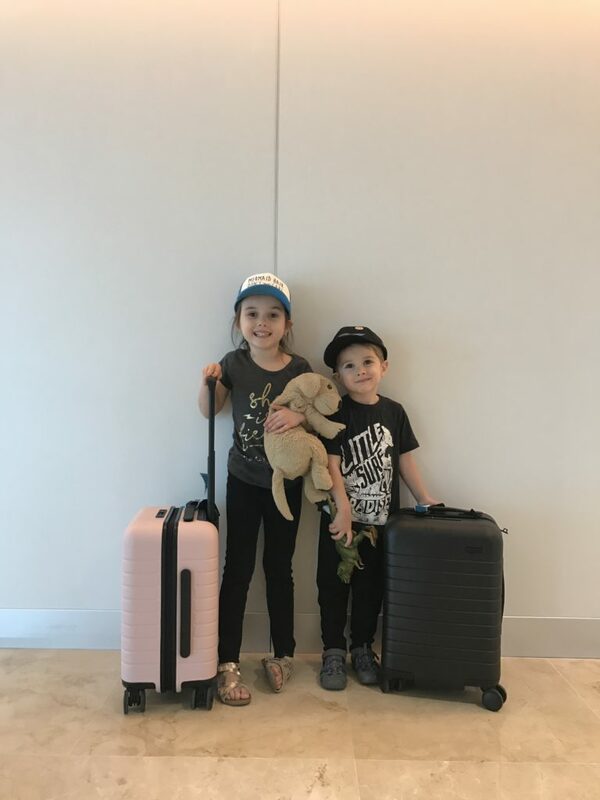 I will start with pre-vacation, when our kids received the cutest welcome packages to the Air Transat Kids Club, this wasn’t a blogger special treatment thing guys – this is something any child under 12 can be registered for when you book a flight or vacation with Air Transat. So many perks come with registering your littles for their Kids Club!! 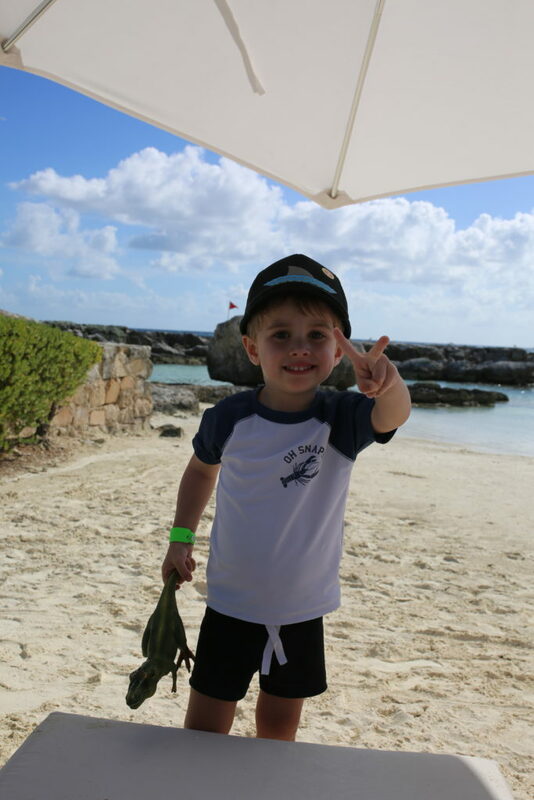 Fun Fact “The Air Transat Kids Club welcomes, for free, mini-globetrotters aged 2 to 11. Becoming a member of the Kids Club – and scoring a bunch of awesome advantages – is as easy as pie! We cannot wait to fly with AIr Transat again, it made flying with little ones incredibly easy and the crew truly knew how to make them feel super special with their program. 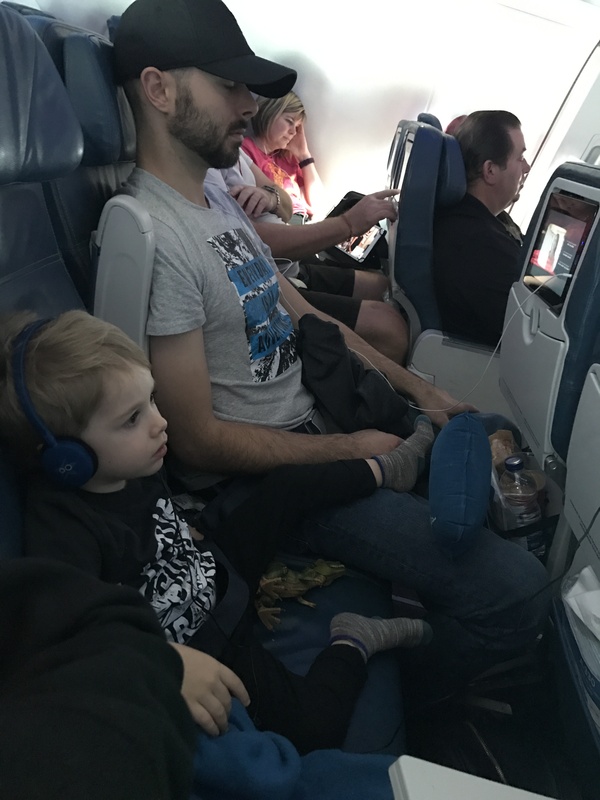 They each had their own Air Transat earphones they could use during the flight and enough snacks to keep them happy. I honestly packed an entire carry on full of snacks and didn’t need to touch them haha! 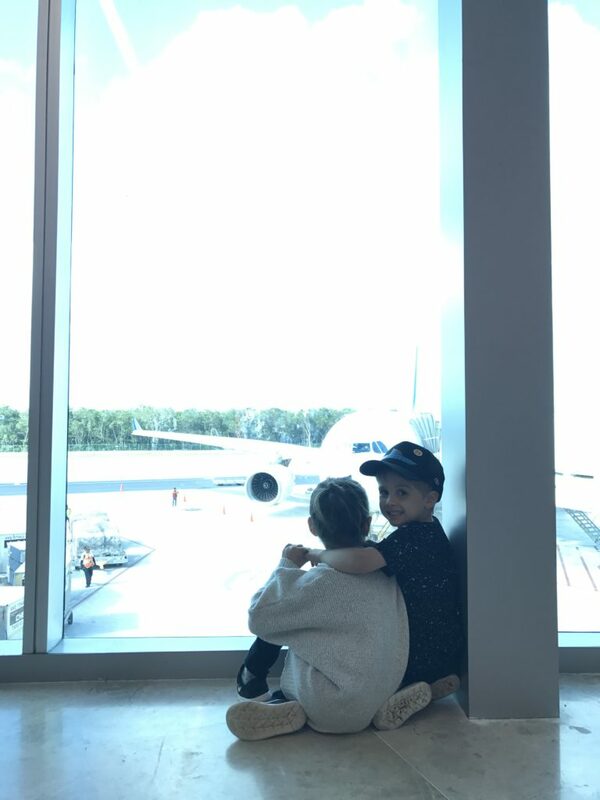 Our best friends joined us for the trip and brought their 3 year old son and 11 month old daughter and because they registered their son they enjoyed to special check-in counter and snacks and seat selection, they were so impressed too! 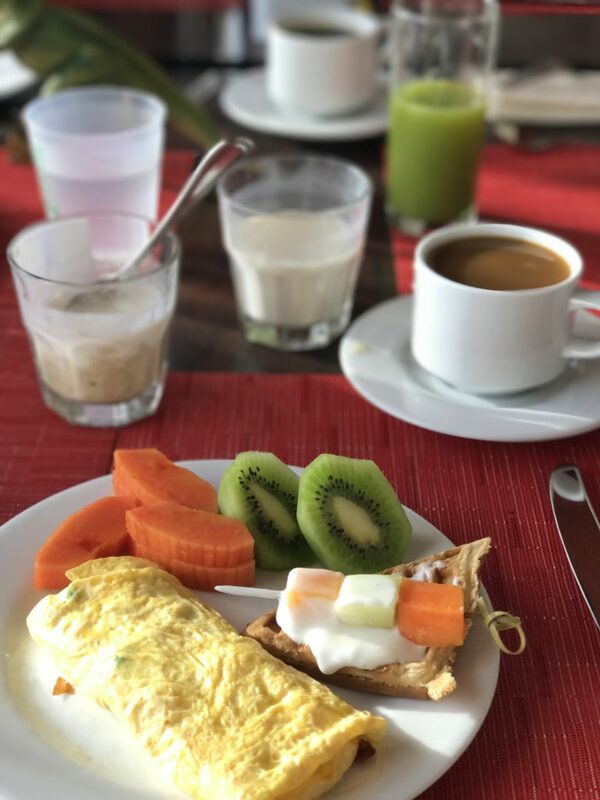 The meals were great as well, I usually am not one to indulge in plane food but the food on our flight to Mexico was SO good. 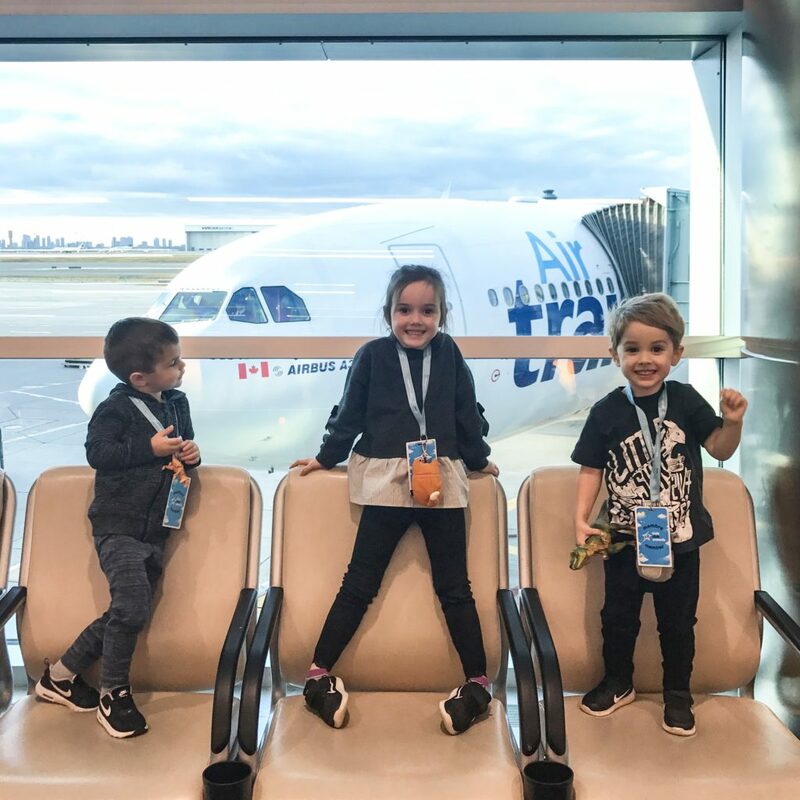 Did you know that the Air Transat Kids Club was designed more than 10 years ago to make air travel a fun experience for young travellers? So neat! 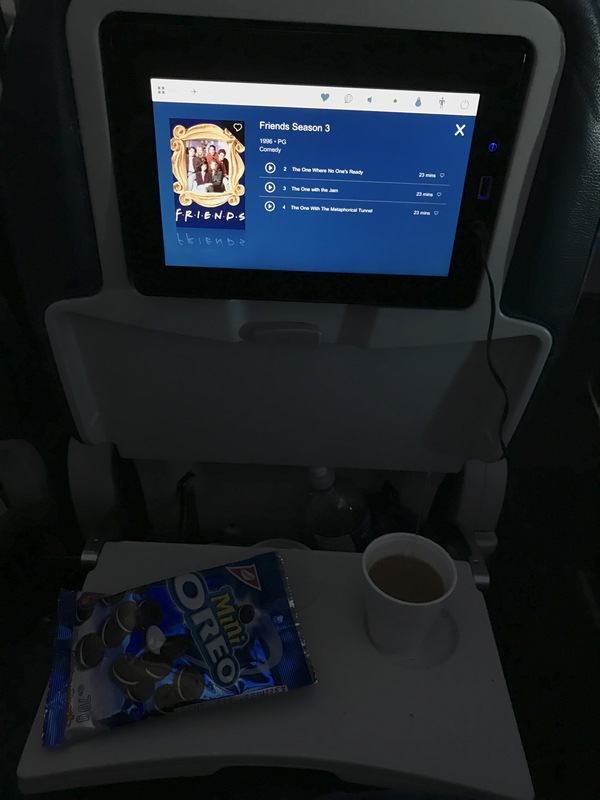 We opted for Option Plus too which came with even more in-flight perks like an Air Transat travel pack that came with a comfy blanket, eye mask and inflattable neck pillow and earphone case…I was seriously so impressed guys!! Can you tell? 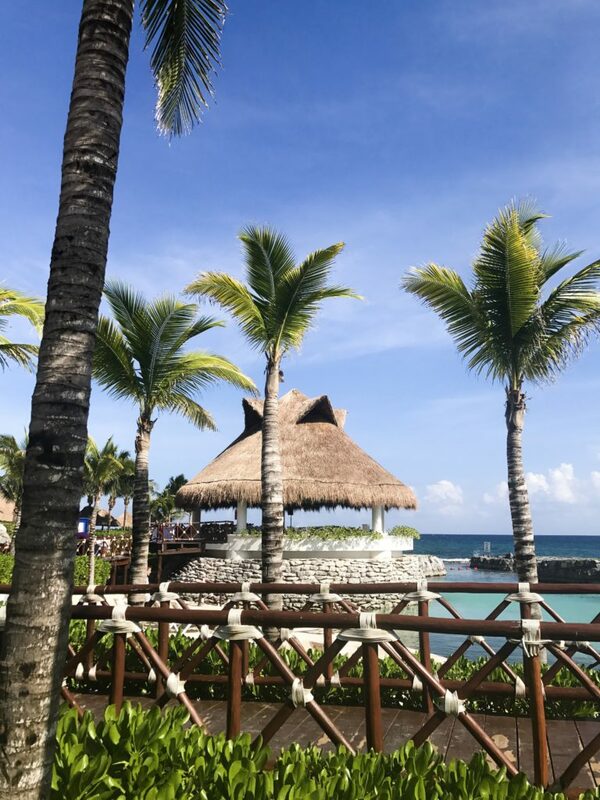 We landed in Mexico to beautiful weather, we were seriously so lucky because our weather app showed rain for the entire week…nothing but sun, sun and more sun! Okay maybe we had rain for like 5 minutes on one day but who can complain about that? It cooled us down before the next round of sun haha! We checked into our room which was perfect for a family of 5, yes – we brought nana! 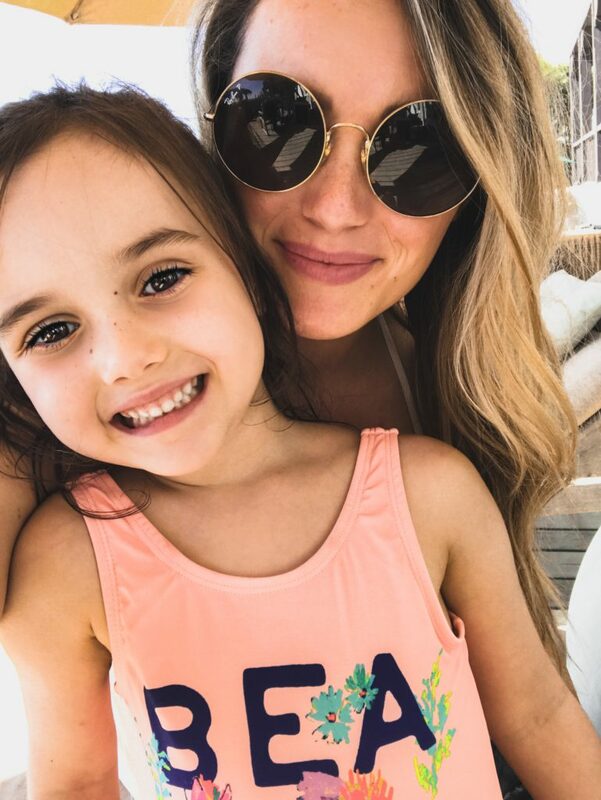 She always travels with us, she helps out SO much with the kiddos and we love having her around and our rooms were two adjoining spaces. One with a king size bed and bathroom with a seating area and balcony and it joined to another room with 2 double beds, a washroom and seating area with balcony too. SO perfect for all of us, the more space the better when sleeping in hotels if you ask me!! The rooms were clean and came with a kitchenette filled with snacks and drinks for all of us, the hotel even had 24/7 room service AHHHH, yes you are reading that correctly!! That honestly made me so incredibly happy because the food was so delicious!!! Their guacamole was out of this world and they made the best almond milk lattes, I seriously miss it…a lot. The staff was so incredibly kind and happy to get you anything you needed, every thing was so tidy and clean at all times – I mean, every where we turned, someone was always cleaning something. 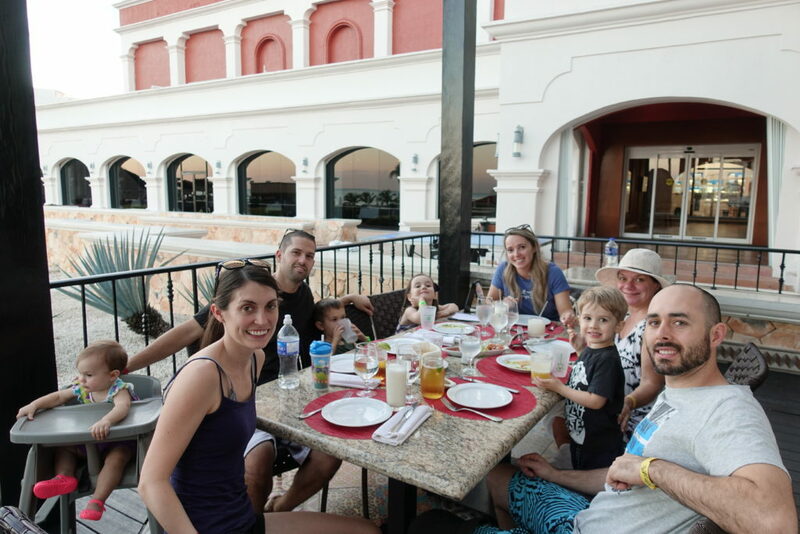 I have to say that having never done the all inclusive thing with kids, I felt so silly lol. This is what vacationing is all about right? Relaxing. And I could finally do this. Someone cleaning our rooms daily, turn down service with mini chocolates (that we hid from the kids and enjoyed after they went to bed haha) and beautiful restaurant options daily for fresh cooked meals. Yes, we will be doing this again! 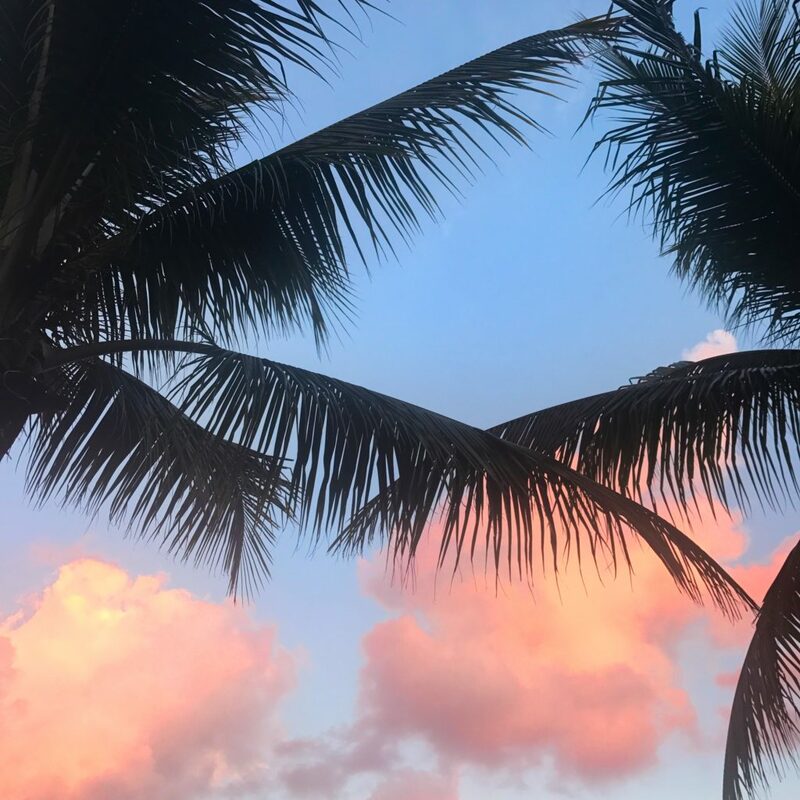 We’ve already been looking at Air Transat’s vacations in other areas for our next family vacation or maybe even something for just Craig and I…or maybe even a girls trip! In all seriousness though guys, this resort was so perfect for families. They have an all adult side too if that is more your thang but for us it was the family side and it was perfect. 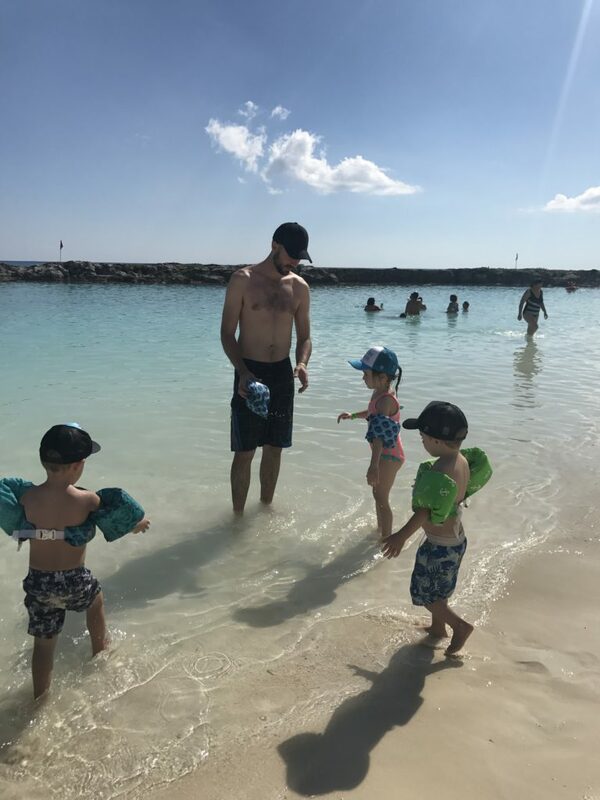 They had a great Kids Club with activities for the kids all day long to get them out of the sun, the kids club was the cleanest place I have ever been into…they even made us wash and sanitize our hands before entering haha…LOVE it! They had crafts, shows for the kids and had characters visit daily from Barney, to Builder Bob & Angelina Ballerina or Thomas the Train – so exciting for the little ones. 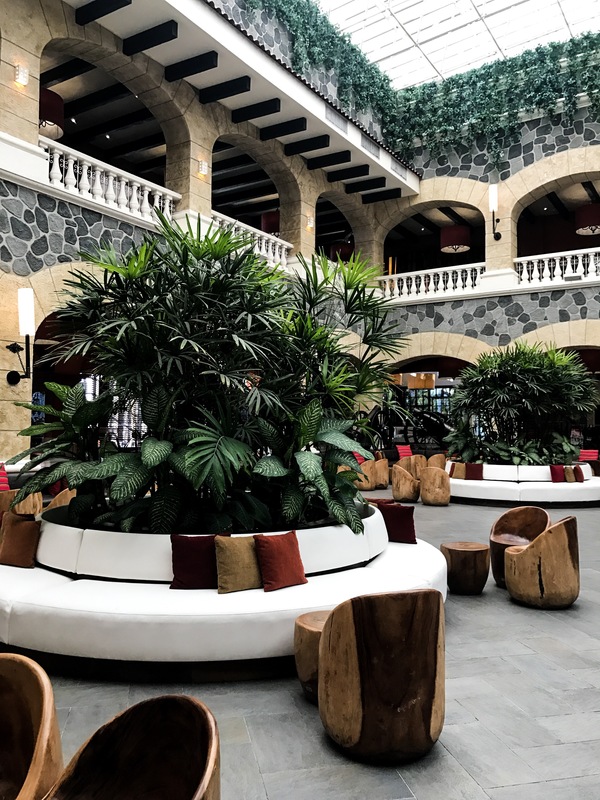 The lobby was always a happening place, if it wasn’t kids shows it was shows for the entire family with authentic dancing or artisans. They had crepes being made there daily and housed an adorable cafe too with fresh pastries ALL day, including these custard filled amazing doughnuts I couldn’t get enough of…did I tell you I gained 3 pounds during our vacation haha!? Well, I did and now you know why. The resort had 6 beautiful pools and a private beach, one of the pools had an awesome water slide that the kids and dads couldn’t get enough of – when we found it, they begged us to go every day…and so we did, it was super tiring for every one in the most fun way and even had a zip line taking off from the top of this faux mountain down to the beach. So. Cool. Our favourite restaurant was the À la Carte ZEN one, they cooked fresh fried rice teppanyaki style so this was so engaging for the kids to watch them juggle their cooking tools and interact with us. We ate there 4 times out of the week for dinner I believe? Second to that we loved the Brazillian A la carte, they had a great variety for the kids at lunch and dinner that worked out great for all of the kids in our group ranging 11 months to 5 years old and all us adults loved it all too! One of our favourite activities to take a break from the sun was the on-site WOODWARD. This 29,000 sq. ft. shrine to lifestyle sports is built for thrills, and uniquely designed for all skill levels. 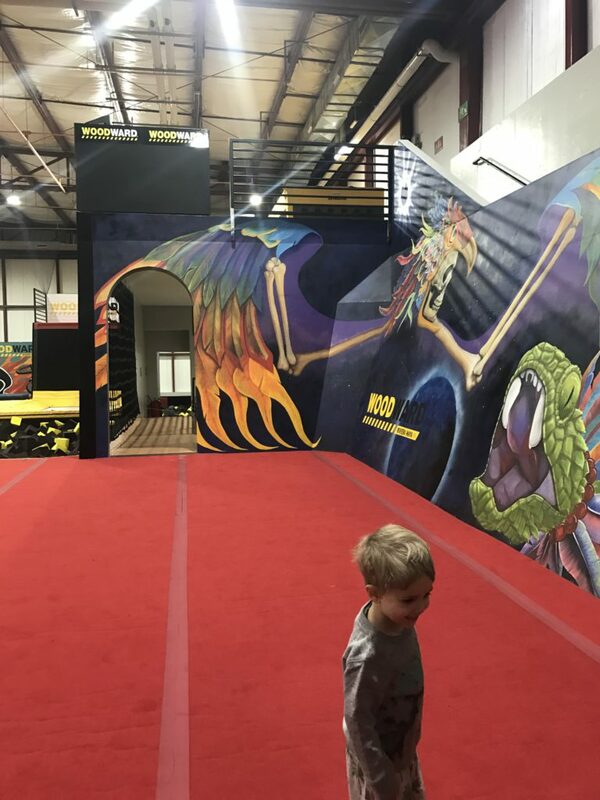 The kids and us went for 2 hours one day and played on olympic training trampolines and jumped into foam pits from all different heights, they even set up fun & safe obstacle courses for us and the kids to make our way to the foam pits – it was so, so much fun! I am putting together a fun video from our trip and you guys will see it all, the looks on the kids faces are priceless. On property 3 days a week they have a monkey tour as well, so many monkeys live out in the trees around the resort and they all come around a certain time of day and sit around on the ground or play together and you get to see it all. 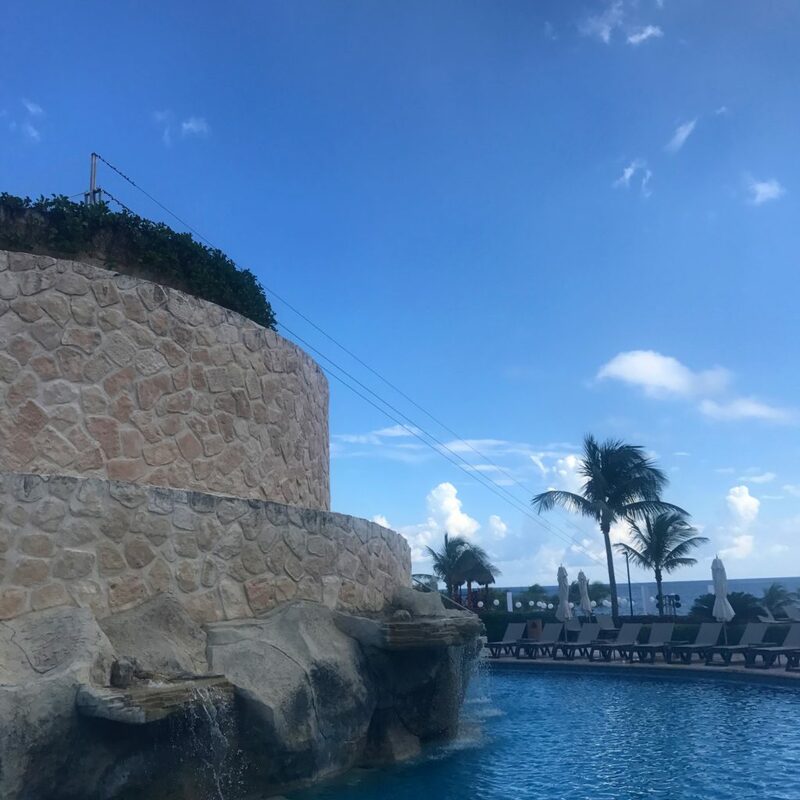 They have water aerobics classes and so many other fun tours and experiences on site too, you really don’t need to leave the resort unless you want to. We debated doing a day trip to Tulum with Transat tours but we ended up keeping so busy at the resort that when we had down time we just laid by the beach or pool and relaxed or stuffed our faces full of authentic dishes. 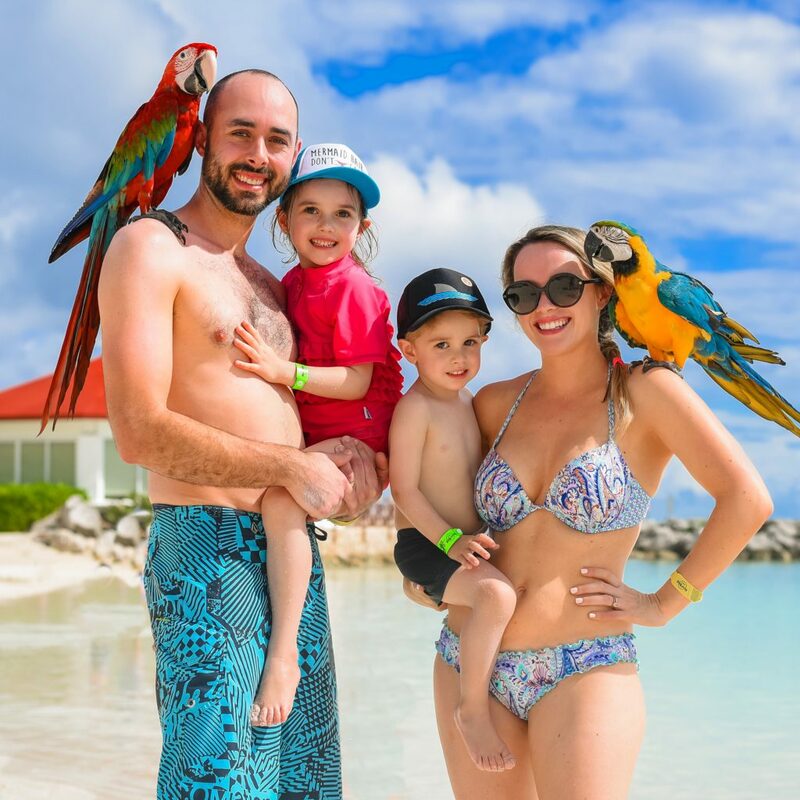 Another favourite thing about this resort are the on-site professional photographers, they walk around the property all day taking candid beautiful photos of families having fun or with the happy resort pets that visit tourists. 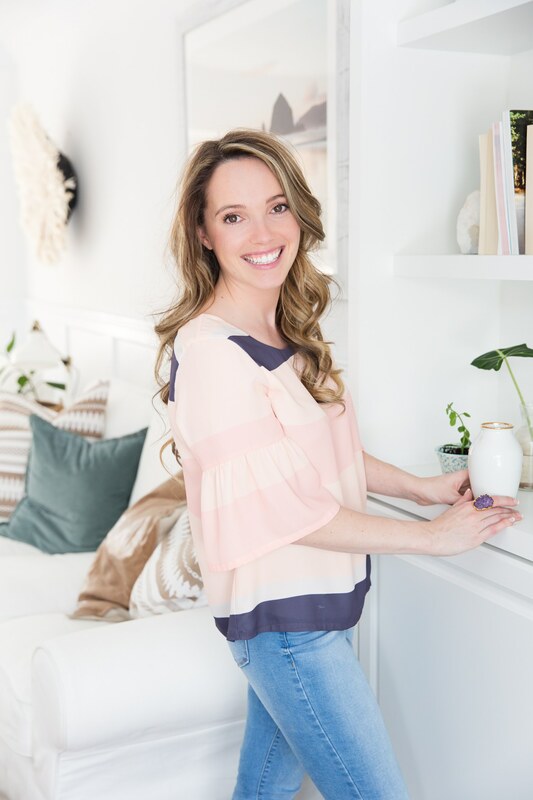 This was such a relief for me and gave me way more time to relax and less time stressing about getting the perfect professional shots, I didn’t have to lug around my professional camera as much. They have a great family package you can purchase if you want and pick through all of the images they’ve captured during your stay and they can give you prints or email them all right to you to print at home. Who doesn’t love these beautiful memories captured to put up on your walls back home? I was so, so excited for this!!! We stayed for a week at the Hard Rock in Riviera Maya with Air Transat and they were so good to us, a week was perfect for us and the kids. Mexico had no time difference from home too which was so nice, every where else we’ve travelled before with the kids had time changes which sucked when coming home. 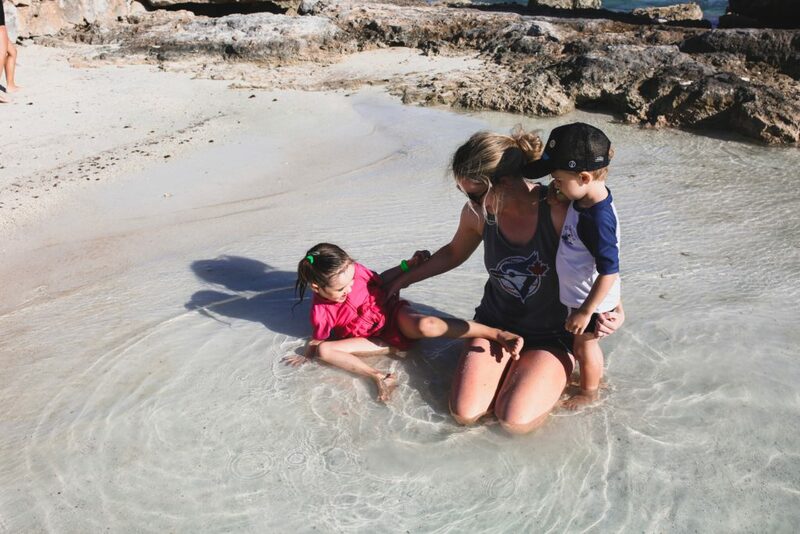 The kids slept so well in Mexico and adjusted quite nicely when we came back, well not to the cold weather any ways haha! The Air Transat team made sure our shuttle was ready & waiting for us to head back to the airport when our day came to go home…sadly, it was time to go home. None of us wanted to leave, it had become such a home away from home for us and we’d made so many great memories. 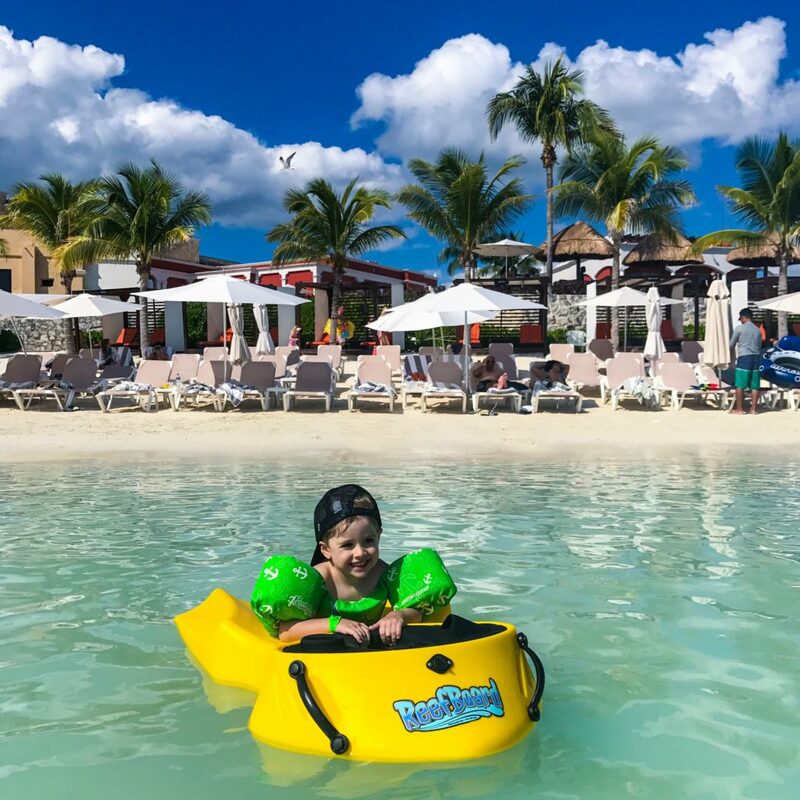 I truly recommend booking this fun week adventure with Air Transat for your family if you are looking for somewhere to escape to this winter! As Craig would say, “yep, that’s a zip line down to the ocean lol”. This post was made in collaboration with Air Transat, all opinions are my own.